As a child, Gay MacLellan says she loved to move. She played tetherball and four square at recess at her elementary school in the tiny central California town of Ripon, where she was spotted by a teacher who coached fencing. As a shy 11-year-old girl, she was surprised to find that the strategy and technique of the sport attracted her, with its balletic and sometimes aggressive movements. Within a year, she was competing with the foil—the only fencing weapon that women and girls were allowed to use in competition until 2004, while men were using foil, epee and saber. Decades later, she still remembers the sport’s appeal. Starting when she was 14, she began training with Michael D’Asaro, a Pan American, U.S. and World Military Saber Champion, and member of the 1960 Olympic fencing team. D’Asaro’s club was located in San Francisco, which meant that MacLellan’s parents had to drive her 90 minutes each way to train every week. Between practice and weekend competitions, MacLellan cultivated a unique fencing style that soon became her trademark. MacLellan fenced for two years at UC Santa Barbara before following her coach to San Jose State in 1974, where he had been hired to coach the women’s and men’s teams. Drawn together by a shared love of sport and drive to compete, the two fell in love and later married. At SJSU, MacLellan trained with champion fencers Stacey Johnson, ’80 Public Relations, and Vincent “Vinnie” Bradford. The landmark legislation Title IX had passed in 1972, setting a standard of gender equity in sport that the women’s athletics director helped reinforce. That support was essential when it came time to compete. MacLellan split her focus between fencing and academics, building her strength, running for speed and endurance, traveling regularly for tournaments. 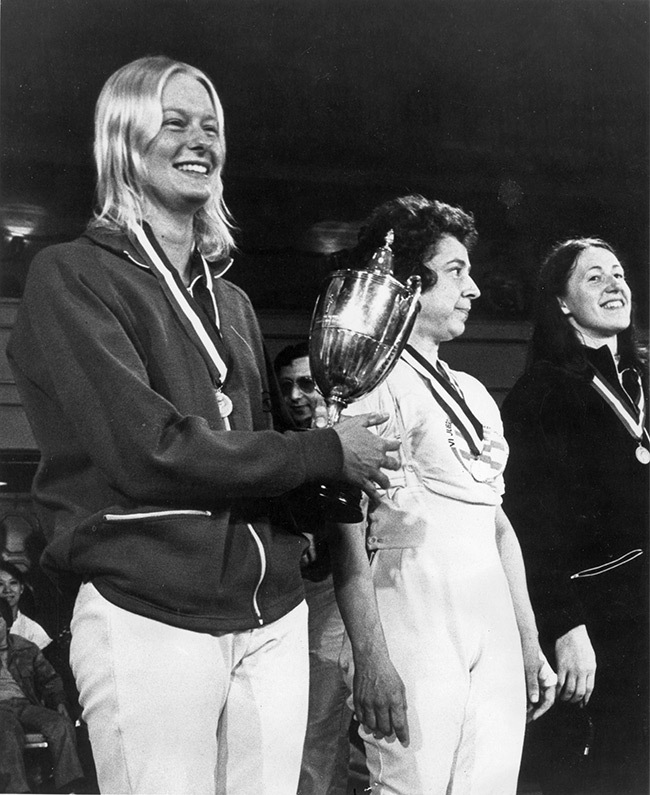 Her hard work brought serious results, including winning the U.S. Women’s Foil Championships in 1974 and 1978—and earning a spot on the Olympic fencing team at 1976 games in Montreal. 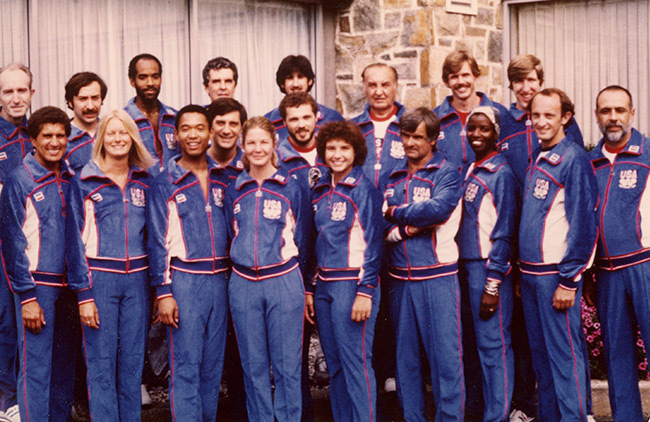 MacLellan and her teammate Stacey Johnson qualified for the 1980 Olympics in Moscow, but were unable to compete because the U.S. boycotted the Games. It was a complicated time. As thrilling as it was to make the team, the fact that they couldn’t actually participate affected the fencers. MacLellan retired from competition that same year, switching her focus to teaching fencing, dance aerobics and body mechanics in SJSU’s physical education department. 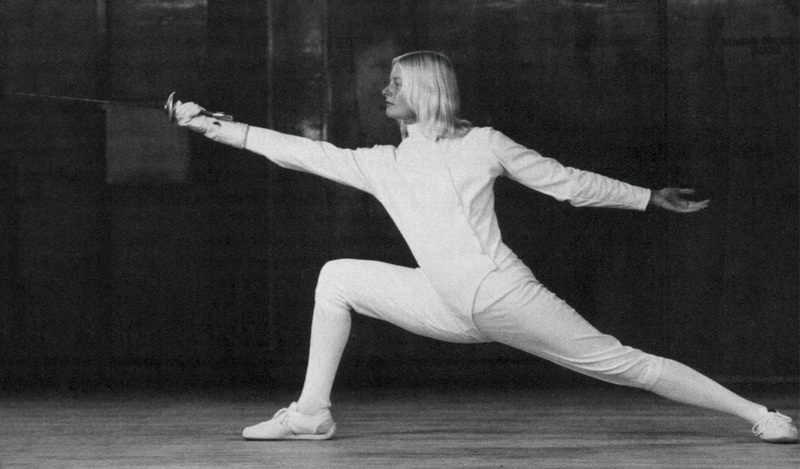 In 1983, she completed her master’s thesis, “A History of the Amateur Fencers League of America,” the governing body that predated the United States Fencing Association. By studying the history of the sport and the way it had been governed, MacLellan gained perspective on how it might evolve. She stayed active in the sport by refereeing around the U.S., as well as worldwide. Though she and D’Asaro eventually divorced, she remained very active in the fencing community. Unlike competing, which emphasized her individual performance, as a referee MacLellan had to confront stereotypes about women in sport, which she found frustrating. As a national champion, Olympian and unofficial historian of the sport, she grew tired of hearing others question her qualifications. Despite this, MacLellan was always grateful for the opportunities that the sport afforded her. Not only did she create a career out of competing, teaching and refereeing, she gained confidence, composure and independence that has served her in her life beyond fencing. A 2004 inductee into the U.S. Fencing Association’s Hall of Fame and an inductee into SJSU’s Sports Hall of Fame, MacLellan now splits her time between southern Oregon and Vancouver, Washington. It has been years since she has donned her mask, jacket, gloves, knickers, socks and protective gear. She has since found new ways to apply her skills, such as ballroom dancing. Understanding how to approach, assess and react to another person has carried over to every other aspect of her life. She is proud to belong to a tradition of high-achieving woman athletes and has seen the impact that positive role models can have, not only on athletes, but anyone who watches competitive sports. Gay MacLellan’s story represents a long tradition of outstanding woman student-athletes at San José State. From Olympic swimmer Lynn Vidali Gautschi, ’76 Kinesiology, ’77 Teaching Credential, to record-breaking gymnast Thomasina Wallace, ’12 Kinesiology, generations of Spartan women have led successful careers in sport. Read The Women in Sport Stories.